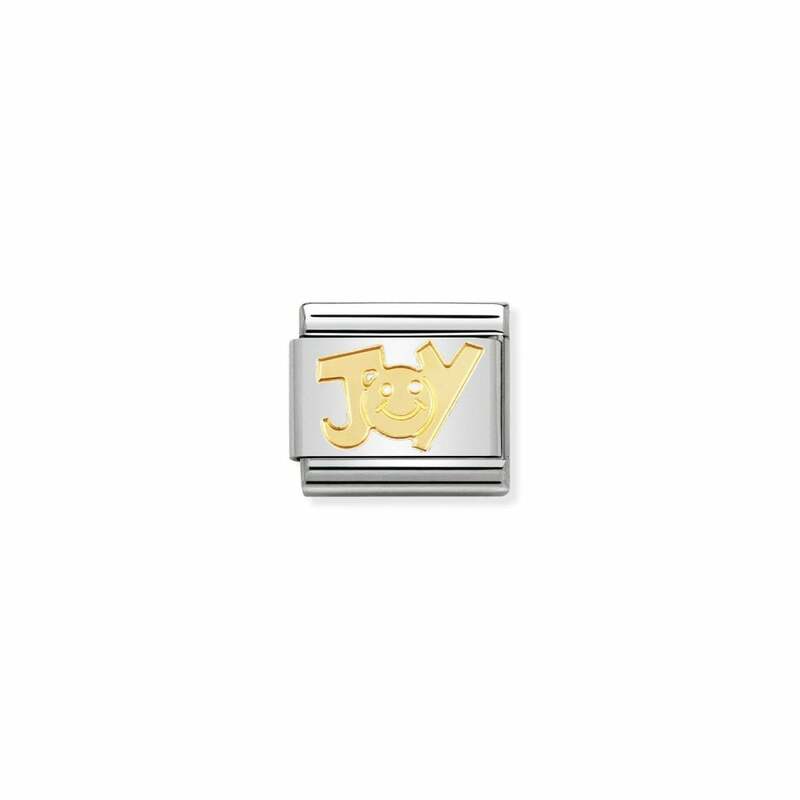 A gold word spelling out JOY on a bed of stainless steel. Part of the Writings collection. The O is a smiley face making this a really cute, joyous charm.